ASIA FOCUS: Mooncake sales plummet but bribery risks remain. Our recipe for a bribe free Autumn Festival. With the relocation of our colleague Neil McInnes to Asia we shall be running a series of focus articles on regional anti bribery issues. In this our first we pick up on mooncakes. 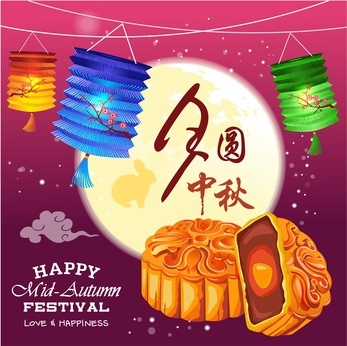 Today, 8 September, is this year’s Chinese Mid-Autumn Festival, also known as the Mooncake or Lantern festival. So thebriberyact thought it would be a good idea to shine its anti-corruption lantern (ahem) on mooncakes, the edible ‘delicacies’ traditionally given to mark the occasion – and often highlighted for their corruption risk across Asia Pac. How should you assess the bribery risk posed by this lotus seed paste and egg yolk sweetmeat? What do recent mooncake trends in different Asian jurisdictions tell us about gift giving more generally and how to manage your corruption risks around festive periods in the region and elsewhere? To start, a quick bit of history. According to popular legend, mooncakes were used during the 14th Century as a means of passing hidden messages between Ming revolutionaries to help efforts to overthrow the Mongols in the Yuan dynasty. Perhaps this is clue for the modern day. Are your systems able to detect when the giving of mooncakes may involve some kind of trickery or cover up? Is the mooncake a disguise for a bribe? Across the city, Singapore’s finest hotels have been doing a brisk trade in elaborately packaged mooncakes for the last few weeks. With the most expensive retailing at between SG$60 to SG$80 for two or four cakes (i.e. less than £50), businesses will typically send each other a small box for staff at each other’s offices to share – as tokens of appreciation and as relatively inexpensive business courtesies by Singapore standards. With some important exceptions, it is very unlikely that giving mooncakes in Singapore in these circumstances will constitute a bribery risk. The dollar value is simply not that significant in most business-to-business contexts given the jurisdiction. ◦ Non-Acceptance of Gifts Public officers are not permitted to receive any present in money or in kind from people having official dealings with them… If a person with whom he has official dealings presents him with any gift, he has to reject it. Where it is not practical to do so (such as a souvenir from a visiting dignitary), the officer can accept the gift and surrender it to his head of department. The officer, however, can retain the gift if he pays for it at the value assessed by the Accountant-General. Pretty strict stuff. So lesson 1 in looking at your practices for customary and festive gifts is always understand local law rules – which should include understanding the various prohibitions that may apply to public officials receiving gifts and hospitality as well as the substantive anti-corruption law (which in Singapore is also extensive and regularly enforced). And this may need to be quite a nuanced analysis – so for Singapore, in cases where you are not dealing with an individual public officer in his official capacity, there may be scope to seek prior approval from a public body to provide a modest box of mooncakes to their office. But proceed with caution and get advice where necessary where the position is not clearly spelt out. Moving to other potential mooncake red flags: while giving mooncakes in the private sector in Singapore is rarely going to be problematic (if the usual hallmarks of appropriate gift giving are followed) there will be occasions that a “no mooncake policy” should be adopted between businesses or in a commercial context – for instance, if the recipient is in the process of deciding whether to award you a contract etc. For those deciding what is and is not appropriate, the example of Singapore demonstrates the importance of a thorough understanding of particular jurisdictional risks. And this can extend in to particular standards expected in different sectors. Incorporating local trade association guidelines and sector specific practices is therefore also essential for your Asia gift giving policies. Turning now to China – and a very different mooncake story to Singapore but equally illustrative of the compliance challenges. A couple of years ago, “bribery by mooncake” was becoming a serious problem. While your standard box of mooncakes in China might only cost US$30 or US$40, in 2012 Xinhua News Agency reported that some high-end mooncakes were being produced in solid gold, worth thousands of dollars. And other examples of extravagance included moonflakes encrusted with gold flakes, or filled with shark fin. The packaging too presented a risk, as other gifts could be secreted alongwith the cakes – jade, watches, alcohol and gold bars for example. This spiraling extravagance was curtailed last year when the Chinese government launched its (still ongoing) crackdown against bribery of public officials – and mooncakes were seen as an example of the rot. The authorities banned the use of public funds to buy mooncakes in 2013 – and recent press coverage suggests that this and a changing perception on the appropriateness of giving mooncakes generally in China has taken a slice out of the profits of mooncake bakery businesses in the region. China Daily reported last week that the Director of the Wuchuan Association of Mooncakes had said “mooncakes have become unsalable this year after the central government ban on purchasing them with public funds” and reported a 50% drop in production in certain factories. But as Eric Carlson reported in his excellent recent piece on the FCPAblog it is not always the giving of real mooncakes that presents corruption risks. Mooncake coupons and e-coupons are ways that corrupt gift giving is disguised more easily – so compliance programmes need to recognize the dangers posed by new technology and the ways staff may be interacting with customers and other parties. Electronic gift giving around festive periods has received particular attention in China, when for Chinese New Year 2014 WeChat, the most widely used social messaging app in the country, launched a service for users to send electronic red envelopes (or hongbao) via its site. While electronic gift giving obviously presents no risks of corruption in a personal context between friends and family, an arrangement that involves a cash equivalent or convertible element in a commercial context presents significant corruption concerns. Many organisations choose to prohibit cash equivalent gifts in their policies – but the mooncake may now be on the list of items that could in fact manifest itself as a electronic cash voucher. If organisations do not outright ban their staff from using social messaging at work, are there rules on how this form of communication should or should not be used with business partners – in the workplace or otherwise? 1. Ensure risk assessment work considers any historic red flags around the type of festive gift you are proposing to give or receive and incorporate this assessment in your written policies. What is ordinarily an inexpensive item can be susceptible to abuse, as the China mooncake examples have made clear. 2. Even if the festive gift is low in value and meets all the other hallmarks of appropriate gift giving, appearances and perceptions are important too. In China, recent government measures focused on public sector corruption may mean the acceptability of mooncakes as token business gifts between commercial partners will also change – as the fall in sales this year may suggest. And where these changes of attitude occur, it’s important for organisations to review their policies accordingly. Even if no corrupt intent was behind a festive gift, organisations would not want the type of gift to be deemed inappropriate or misinterpreted because of wider changing circumstances. 3. Conduct proper due diligence and understand the very different jurisdiction risks across your Asia operations– what are the local laws and rules affecting the recipient of a gift at a festive occasion; what are the particular sector standards at a regional or country level; when would it ever be appropriate to give a gift to a public official and what would their approval or reporting processes be (although you may choose, as many organisations do, to have a policy that prohibits gift giving to all public officials because of the much higher risks such gifts present). 4. Follow the other hallmarks of compliance-friendly practices with any gift giving: be open and transparent, keep proper records and monitor these, provide only modest gifts (with limits set to reflect the country in which the gift is being given), and do so for legitimate purposes – in order words, to reflect esteem or gratitude or promote cordial business relations.